A bid to get a bill passed this year has gone down to defeat, but next year is looking promising. Vermont will not become the first state to legalize marijuana through the legislative process, or at least it won't do so this year. House Republicans on Wednesday evening killed a last chance effort to get it done this year by refusing to take up a compromise legalization bill that had been passed by the Senate earlier in the day. A marijuana legalization bill, Senate Bill 22 , had passed the legislature earlier this year, setting the state up to be the first the free the weed legislatively, only to be vetoed last month by Gov. Phil Scott (R). In his veto message , Scott said he was not philosophically opposed to legalization, claiming "a libertarian streak in me," but had public safety concerns about marijuana and driving and marijuana and kids. The veto message contained specific recommendations for crafting a bill the governor would find acceptable. The bill passed by the Senate today, an amendment to House Bill 511 , which has already passed the House, attempted to address Scott's concerns. Like S.22, it would have legalized the possession of up to an ounce and the cultivation of up to two mature and four immature pot plants by adults, but not create a legal marijuana market. Instead, it would have created a legislative study commission to develop legislation for taxed and regulated cannabis commerce. Changes to the bill to appease the governor included giving the study commission a broader membership and extending the time given for it to issue its report, as well as stiffer penalties for driving while high, providing marijuana to children, or exposing it to them in cars. The bill didn't contain a roadside marijuana "impairment testing mechanism" desired by Scott, mainly because there are none on the market. But all of that is moot for now. For the bill to pass during the veto session, House Republicans would have had to agree to waive normal legislative rules, but in Wednesday evening's GOP members largely refused. A motion to waive the rules needed 107 votes to pass (out of a House of 150), but with only 83 Democrats, it needed substantial support from GOP House members to pass. It didn't get it; failing on a vote of 78-63. 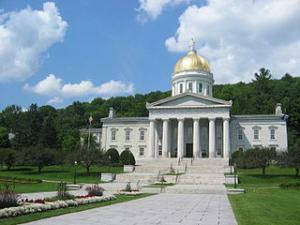 Vermont will not legalize marijuana in 2017, but H.511 remains alive. It can and will be taken up by the legislature when it reconvenes next year, and Vermont could still end up being the first state to legalize marijuana legislatively. It's just not happening this year.